Salvage yards are not scary. You can’t find a dead body or anything drastic inside. This isn’t a location for horror movies that will really drain your senses. Salvage yard is actually beneficial in several aspects. First and foremost, it is the best place to visit if you own a vehicle that is experiencing some technical problems yet you cannot find anything brand new to replace the faulty parts. Manufacturers stop producing particular parts for a vehicle after 10 years of release. Because of that, if you own an old vehicle, finding something that will work best for your vehicle, like how the old one used to, may be a hard thing to do. If that happens, visiting a salvage yard will work best on you. 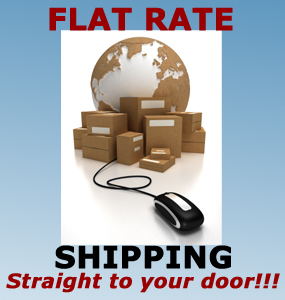 You can find great items that at very affordable rates. Additionally, salvage yards help save the environment. Vehicles that are not appropriately disposed can extremely damage the environment. If brought in the salvage yard, you are guaranteed that they have ample knowledge how to get rid of the worthless parts and recycle those which can still be used. 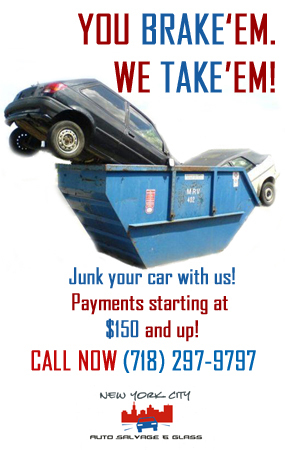 Visit New York City Auto Salvage & Glass. We guarantee you that our wide selection of used parts will really help you find what will work best for your vehicle. We also ensure that we manage our business well and at the same time help save Mother Earth through our unsurpassable recycling methods.